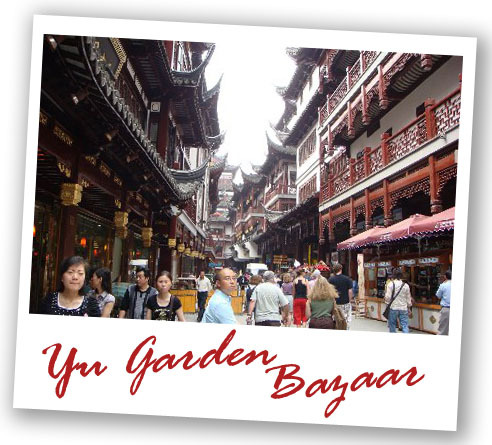 The Yu Gardens was built in the Ming Dynasty classical style over 400 years ago. With a total area of less than 5 acres, it has more than 40 attractions in the inner and outer gardens, Built in traditional Chinese style with numerous rock and tree garden areas, ponds, dragon-lined walls and numerous doorways and zigzagging bridges separating the various garden areas and pavilions. The surrounding bazaar area provides good shopping opportunity, where traditional Chinese products are available on sale.